This has been a fantastic month! I don’t think I’ve read a single book that has disappointed me, and I even got all gushy about three of them. 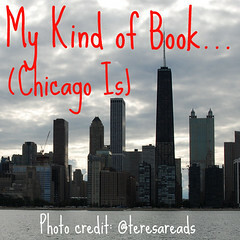 I’ve had a great time learning about and meeting some Chicago-area authors, and I hope that you’ve found some books you are interested in as well, whether or not the Chicago connection means anything to you. If you read “A Bump in the Road” (which you don’t need to understand and enjoy “Not Ready for Mom Jeans”), you already know that Clare Finnegan has a new baby after what was an unplanned pregnancy for herself and her husband. Not that they don’t both adore their daughter, but life with Sara is so different than life before Sara. One of the biggest differences is Clare’s newfound questioning of her career. Being an event planner is something that she has always loved, but when Clare’s maternity leave ends, she feels an intense amount of mom guilt leaving her precious little girl at daycare with strangers. Although I couldn’t always identify with Clare and the old, single, pre-child ways she did not want to give up, like staying out for most of the night to go drinking with her friends, I think that most mothers will identify with Clare’s struggles with work-life balance. For Clare motherhood is a constant reinvention of self, and she has a lot of soul searching to do in order to determine what is best for her and her family. A couple of minor continuity problems failed to dampen my enthusiasm for this funny and realistic look at the tough choices of modern motherhood. I think most moms – nay, parents – would be able to relate to the decisions Clare finds herself forced to make. It’s a funny thing about being a writer. 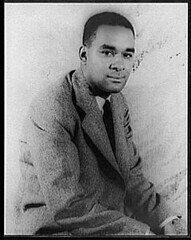 People often have the most romantic ideas about what your life must be like; they assume that it consists of long, soulful walks for inspiration, or days spent sitting dreamily at a desk, capturing genius on the page only whenever it happens to alight upon your shoulder. Movies and TV shows don’t help; they perpetuate these stereotypes, wrapping them up in Hollywood art direction to boot. Pottery Barn desks and flickering candlelight; exquisite views conveniently just outside the soulful writer’s window. Well, I hate to break it to you, but—my life isn’t exactly like this. My desk is a cast-off IKEA desk that neither son wanted to take to college. The view outside my office is that of a basement window well. And I rarely have time to sit dreamily at my desk, waiting for inspiration. If you are lucky enough to be a full-time writer, that’s the thing. It’s a full-time job. Yes, there’s inspiration involved, but there’s a heck of a lot of perspiration, too. Multi-tasking. Prioritizing. Rushing to meet deadlines. Take, well—now, for instance. Right now, I’m in a very blessed position. I have one book out (ALICE I HAVE BEEN); one book coming out in July (THE AUTOBIOGRAPHY OF MRS. TOM THUMB); and one book due to my publisher in August. So instead of having the luxury of just losing myself in the manuscript I’m writing—the one that’s due in August—I find myself having to switch gears between three different books. ALICE I HAVE BEEN comes out in paperback in December; I’m getting ready to go out and talk about it again, a year after its initial publication. I love this book, I love the story and I love meeting readers. But I’ve written another book since then that I’m itching to talk about—the book that’s coming out in July. I’m now starting to gear up for its hardcover publication, which means going through page proofs, approving jacket copy, answering questionnaires for my publicist & marketing team, clearing my schedule for July. Meanwhile, there’s that third book. The one that’s due in August. The one that I have to, you know—write. Now, I am not complaining about any of this! I love every minute of it and know myself to be blessed. But I wanted to share a little insight into how the life of a writer is just like the life of every working person out there. Like you, I have to prioritize. Someone wants to interview me for a blog? Great—but considering the deadline, the upcoming travel, do I have the time? Or how about that book club that wants me to meet with them for a couple of hours? And what about that Tweetchat I was asked to do? Sometimes, unfortunately, I have to say no. Just as I’m hitting my stride with the new book, really getting into the story, there’s a knock on my door. It’s the UPS man delivering the page proofs for the July book, and they’re due back to my publisher by November 1st. Reluctantly, I close the file for the new manuscript, and sit down, instead, with a colored pencil to re-read, for the umpteenth time, my soon-to-be published book. It’s tough going, because by now I’m looking at it only for the mistakes; the typos, the inconsistencies that neither my editor, my proofreader or I have caught, but which, for sure, exist. And this is my last chance to find them before the book goes to press. Bye-bye, inspiration! I will not be able to pursue you today. But next week I will have to summon you, no matter what, because I will have a window of opportunity, between the upcoming paperback release and the blog posts and the final look at the proofs for the next manuscript, in which to write. And so, somehow, I will simply have to. So that’s what a writer’s life is like. My desk is messy, filled with paperwork that needs to be filled out, contracts to be mailed. I have an in box and an out box. I have a calendar that fills up at an alarming rate. And I have little time to sit dreaming out the window; I can’t afford simply to sit and listen for my muse. Writing is my job. It’s what I do, and like any skill, I have to be able to summon it on my own command. Inspiration is part of the process but for me, it’s most important at the very beginning, when my initial idea for a book is forming. That’s the one time I get to sit and dream and think. But soon enough, it’s back to work; to writing, and it’s a darn good thing I really love it, that I consider myself lucky to be able to do it. And that I’ve worked hard to master it so that it’s second nature to me now. Because deadlines – and guest blog posts – don’t wait for inspiration. Melanie Benjamin is the author of ALICE I HAVE BEEN, a novel about Alice Liddell, the muse for Lewis Carroll and the inspiration for Alice in Wonderland. Currently available in hardcover, it will be released in paperback December 21st. Her next novel, THE AUTOBIOGRAPHY OF MRS. TOM THUMB, will be published in July 2011. She lives in the Chicago area with her husband and two sons. Visit her at her website, www.melaniebenjamin.com. You can also read her previous guest post at Devourer of Books.